In Greenwich we went to the Royal Maritime Museum. 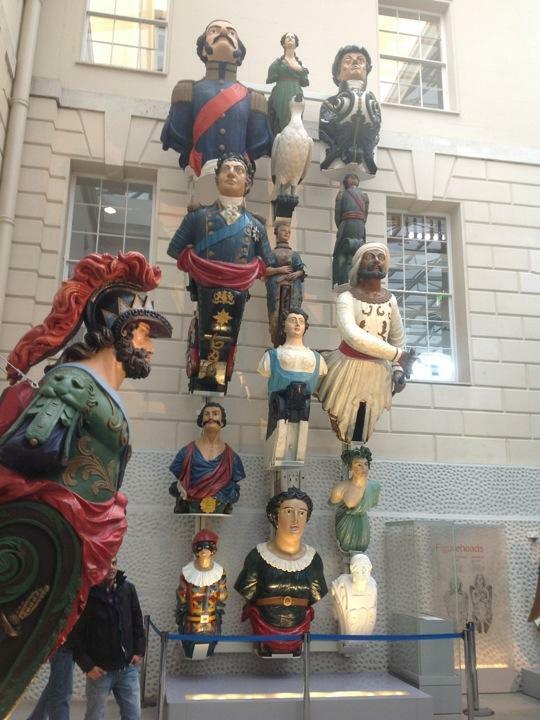 The picture on this blog is of the Figureheads from old ships. There were some really interesting sculptures of animals and people. I liked the one of a snow goose the best, I might try to figure out what ship it came from. A lot of the museum was closed because they were adding new exhibits and the grounds were a little torn up because they held the Olympic Horse riding competitions on the grounds. The town of Greenwich was a lot like Friday harbor, but older. There were small shops and restaurants and it had a good small town feel.